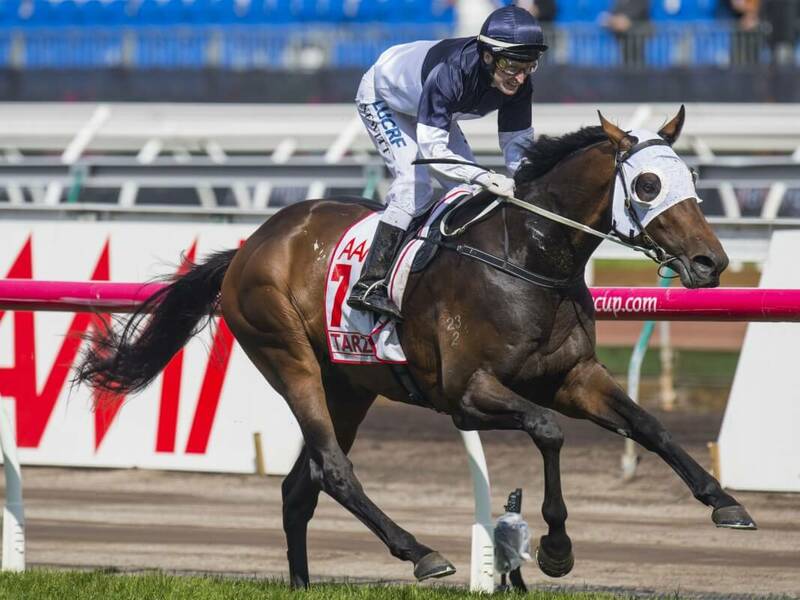 Tarzino has emerged as a potential weight-for-age star of Australian racing with a trashing of his rivals in today’s Group One VRC Derby (2500m) at Flemington. Sent out the warm favourite after an outstanding third in the Moonee Valley Vase last week, Tarzino raced clear shortly after straightening and from there the result was never in doubt as he and Craig Newitt went to the line two length winners. 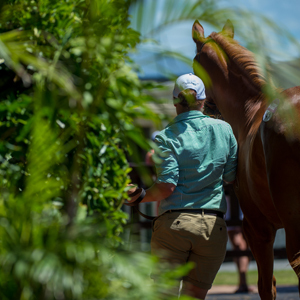 Tarzino, a son of Montjeu’s Group One winning son Tavistock, was purchased by Price for $60,000 from the draft of Yarraman Park Stud at last year’s Magic Millions National Yearling Sale at the Gold Coast. The future looks an exciting one for Tarzino. Price has a share in the outstanding colt and his wife Caroline also has a five percent share. 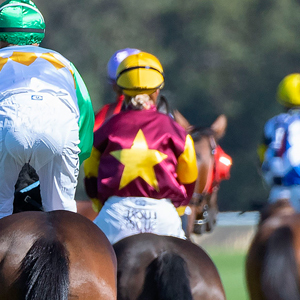 Another part owner is former Magic Millions part owner and successful breeder Rob Ferguson. Winning jockey Craig Newitt was cheered home by his wife Karli and three children, all at Flemington to witness the famous victory. With the win at just his sixth start and in his first racing preparation, Tarzino sent his owners into raptures when he raced home and send his earnings past $1 million already. Tarzino is the first winner from four named foals for this dam – the placed Zabeel mare Zarzino. Zarzino is full sister to the Group Two Perth Cup winner Respect and Group Onr runner-up Kind Return and a half sister to the Group One winner Kindacross. It is also the family of triple Australian Group One winner Sky Chase. Meanwhile, Eclair Choice continued his outstanding recent form with a powerful on speed win in the day’s final race, the Group Two Linlithgow Stakes (1200m). The South Aussie raider provided trainer Phillip Stokes and jockey Dom Tourneur with yet another VRC Cup Carnival win following an outstanding week last year headlined by Adelaide Yearling purchase Hucklebuck. Coming off a dead heat win in the recent Group Two Caulfield Stakes, Eclair Choice led from barrier to box and went to the line three parts of a length clear of Group One winner Hot Snitzel, while Dothraki was third, a further head back. 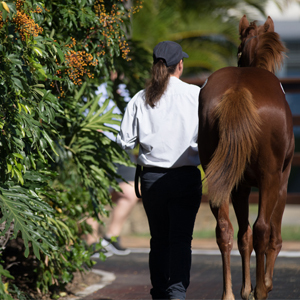 Eclair Choice, a $5,000 purchase from the Newhaven Park draft at the Magic Millions National Weanling Sale, is raced by Macau Jockey Club chief Thomas Li and his earnings have shot to over $480,000 from just 18 starts. 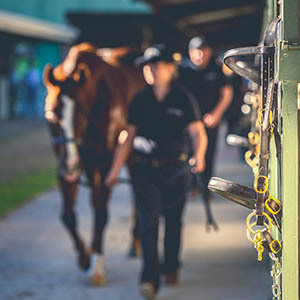 Derby Day commenced with quality three-year-old Mahuta winning his third straight race and his second at black type in the Group Three Carbine Club Stakes (1600m). A member of the record breaking Darren Weir stable, Mahuta was sent out the third pick with bookies and he delighted his connections and followers when he held out Patch Adams to win. Mahuta was purchased for $35,000 from last year’s Magic Millions Adelaide Yearling Sale from the draft of Redbank North. 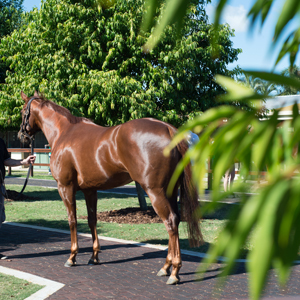 He was previously sold by Glastonbury Farms at the Magic Millions National Weanling Sale. That meant Tarzino, Eclair Choice and Mahuta were all purchased from the National Sales, for a combined cost of $99,000. Their earnings now a staggering $1,698,090!